Jennifer starts her own business, creates a domain name (jenniferscupcakes.com,) and creates a website for the business. She has been using gMail for her personal email for years, is familiar and efficient with the interface, and really likes all the features gMail offers, so she creates a second account (cupcakes@gmail.com) for her business. As her business begins to grow, she starts receiving inquiries about her email address, and why she’s not using something like jennifer@jenniferscupcakes.com. The realization hits her – using a domain-based email address is a fantastic way to get her brand out there in everyday use! However, she despairs, because she really loves the convenience, security, accessibility, and familiarity she has with her gMail account. Does she really want to go through the hassle of setting up an email account through her hosting provider, then downloading, installing, and configuring an email client on every single device she uses, only to be ultimately disappointed it’s not gMail? Fortunately, there is an elegant solution for users like Jennifer (and like us!) – it’s called Google Apps, and it’s a piece of cake to set up. We’re going to walk you through it, step by step, from pros and cons, to signing up, to configuration. We will focus on the email aspect (gMail) today, rather than the organizational the networking bits and pieces, since most of our inquiries have been specifically about domain-based email in conjunction with gMail. Bear in mind, though, that a whole suite of applications and functionality comes with Google Apps, which can be a huge help when working with a large or small group of collaborators. Google Apps is a package which allows you to use your domain name within email addresses, while still using the slick, simple gMail interface. It also allows all members of your organization to quickly and easily share calendars, files, instant messaging, and much more. 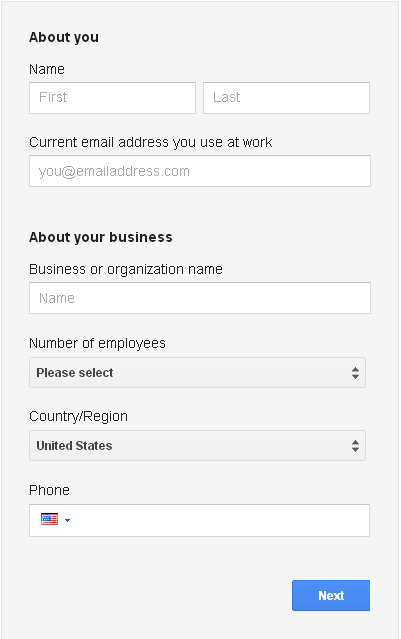 Why should I use Google Apps instead of my personal email address? Having a professional appearance is an important aspect of most business’s success. Think about what your impression might be of a business trying to gain your patronage if they had a yahoo.com email address versus an email address on own business’s domain. Some people won’t notice or care, but many will. A polished internet presence has rapidly become a necessity in many markets. Secondly, it’s easier for a reader or customer to remember your email address if it’s something simple and memorable, associated with your specific domain, such as carol@realfood.com versus carol@aol.com or carol@gmail.com. The domain gives them a reminder, a context for the person. 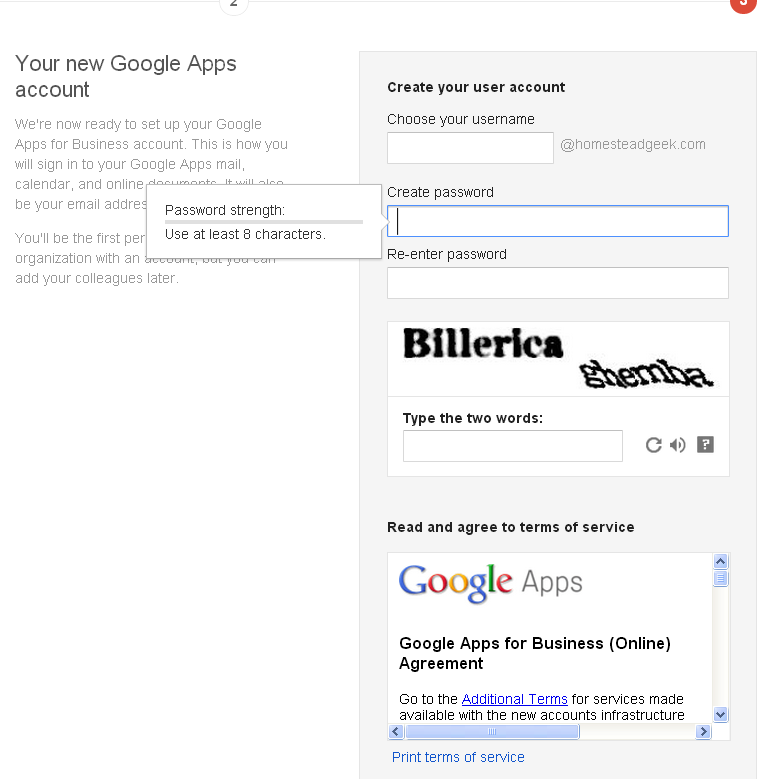 “Starting today [December 7, 2012], we’re no longer accepting new sign-ups for the free version of Google Apps (the version you’re currently using). Because you’re already a customer, this change has no impact on your service, and you can continue to use Google Apps for free. 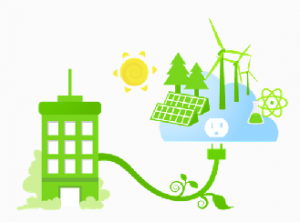 Why should I use Google Apps instead of email with my web hosting provider? The primary reasons for using Google Apps are its convenience, simplicity, feature-rich interface, security, and accessibility. There is no need to download and install a specific email client to all of your devices upon which you read email, and you won’t be stuck with some ugly, horrid webmail interface, either. Rather, there is a simple, elegant web interface and native gMail apps for mobile devices (a “native” app is an application which comes standard on mobile devices.) You can access your business email instantly from literally anywhere in the world with an internet or cell connection. gMail’s email searches, labels, filtering mechanisms, anti-spam and anti-phishing measures, and other features are superior to anything else I have ever used. There is a built-in instant messaging system (gTalk) that’s simple and easy to use, too. You won’t lose your existing email – you can import emails received from another email program or service into gMail by following the instructions in this article. Another excellent reason is gMail filters spam really well. Their algorithms for detecting spam are unparalleled in the industry, and are typically better than anything a web host will provide. Here’s another reason you likely won’t hear from anyone else in this industry – your web host will love you for not using their servers for email. I’m going to tell you a secret: Email is widely considered the bane of the web hosting industry – it is generally thought of as a necessary evil. Email causes all manner of issues on web hosts’ servers, from excessive resource usage to getting IP addresses blacklisted for sending too much email. Too, email can take up a lot of space on server drives, especially when users forget to occasionally clean out their trash and spam folders. 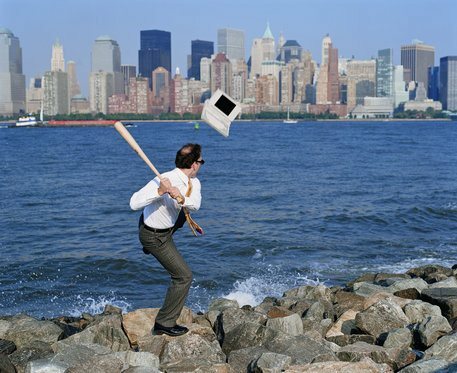 In short, systems administrators loathe having to deal with email and its associated problems. Additionally, like Black Chicken Host, Google takes environmental stewardship seriously. Their datacenters are very energy efficient. Lastly, gMail is very reliable. I have been using gMail since 2005, and I can’t think of a single occasion during which I could not access my email that was not related to a network glitch between my geographic location and their servers. They have enormous infrastructure and redundancy, which your web host may not have. 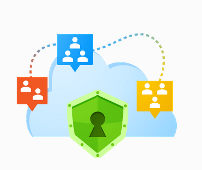 What are some potential disadvantages of using Google Apps? Some folks are a little paranoid about giving Google access to all of the information contained in their emails. Here’s the thing, though – do you think a huge corporation like Google would really be interested in reading your email? Actual humans at Google probably have no idea you exist, unless you contact them for a support request – everything is handled by their amazing automated processes. The folks at gMail aren’t going to become bored and decide to poke around in your email for fun. However, there are automated “content scanners” which detect the general topic of an email and use that information to present relevant ads on the sidebar. This is really no different in principle from the ad cookies placed upon your computer to serve relevant ad content when you view websites. You can read more about this here: Content Scanning. In our opinion, however, these few potential disadvantages are vastly outweighed by the benefits. Ok, I’m interested – how do I sign up? Signing up takes only a few moments. 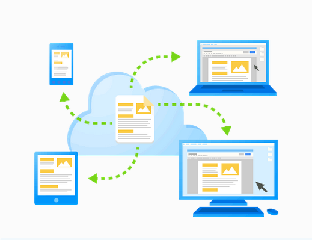 Simply go here: Google Apps. 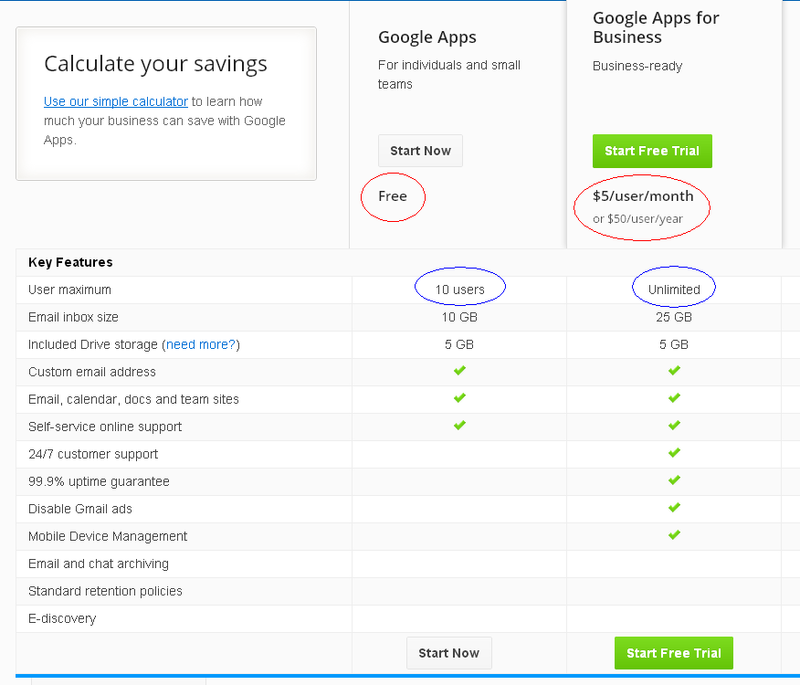 One mildly annoying features is all users are by default signed up for a 30-day free trial “Business” account, unless we sign up specifically for only Google Apps from the “Pricing” page. We’ll show you how to downgrade to the free lifetime account toward the bottom of this article, but since the Business account level is free for 30 days, it’s interesting to play around with a bit to see if that level accounts suits your particular needs. 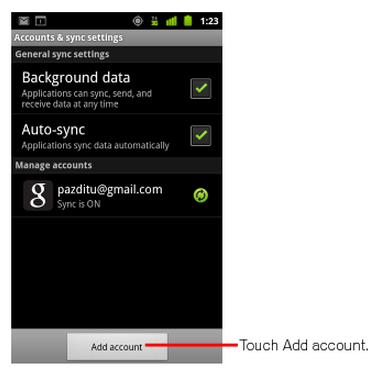 The third page sets up the primary administrative user for the Google Apps account. Pick the email address you want to use, enter a strong password that’s at least 8 characters long (we recommend using a combination of letters, numbers, and special characters that is not based on a dictionary word,) fill in the CAPTCHA code answers, and click the button below the ToS to accept them. Voila! Done with the signup! Almost immediately, you should receive a confirmation email at the address you signed up with, offering tips and tutorials. 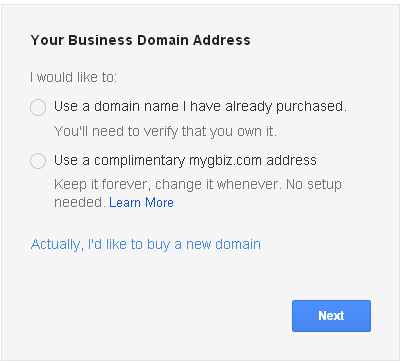 What do I have to change with my domain name in order to use Google Apps? There are additional configuration steps to get your domain’s email routed to gMail, and they can be a little intimidating. The good news for Black Chicken Host customers? We’ll do it for you! Because we offer this as part of our exemplary customer service, I’m only going to give the most basic details for making the changes here – Black Chicken Host customers may contact us at any time to have us do the heavy lifting for them. 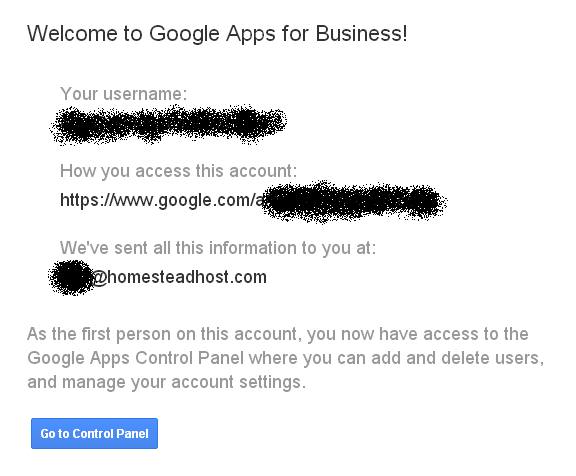 The first time we log into our control panel, Google requires us to verify we own the domain itself, and are therefore authorized to make changes to its functionality. This is accomplished by adding an entry to your DNS zone file. There are comprehensive instructions within the Google Apps control panel for non-Black Chicken Host customers, which do a good job explaining the process. Your web host or registrar may also be able to help you with this task, and we will do this for Black Chicken Host customers. Next, we need to tell the Domain Name System (DNS) where to send your email. This is accomplished via setting up custom MX records within your DNS zone file. If you do not host with Black Chicken Host, you can do this either at your domain registrar, or at your web host, depending upon where your authoritative nameservers live. If you do not know where your nameservers are, please contact your web host. Again, Black Chicken Host customers may rely upon our outstanding Home-Cooked Support to take care of this for you. Depending upon the expiration dates set for your MX records, this change may take anywhere from 5 minutes to 24 hours to percolate across the entire internet, so you will want to keep checking your old email location until you’re certain everything is pointed to gMail. In your DNS zone file, set your CNAME for “mail” to point to ghs.google.com – again, if you’re hosted and registered with us, we’ll do this part for you. Once the DNS zone file changes have fully propogated, we are ready to begin using Apps! Finally, we’re down to the good part, the thing which motivated you to go through this process – woohoo! Click on the “Gmail” link and you’re off and running! You may have email waiting for you already. You can also access your other apps from the same control panel, and add events to your Calendar, share photos, movies, spreadsheets, and other files with Drive, communicate in real with Google Talk, and so much more. Google really gives us a lot of tools to keep information readily-accessible and flowing between members easily. If you went through the “Free Trial” signup and do not want to extend your Business account level, it’s very easy to downgrade to the lifetime free service. 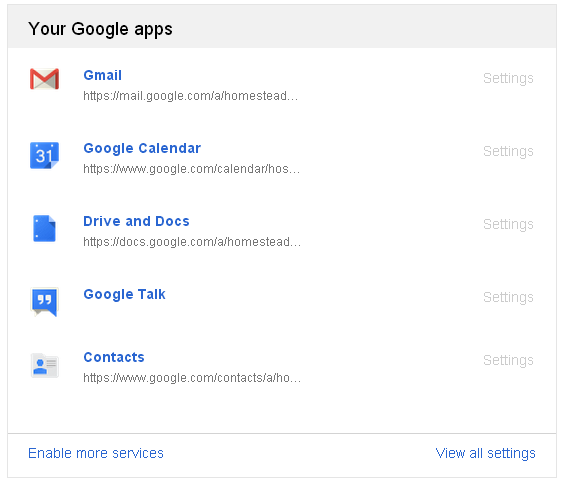 Select the first option – “Downgrade to Google Apps,” and confirm with the “Continue” button at the bottom of the page. All set! Black Chicken Host is a pretty big Google fan on the whole; we use it for so much of our day-to-day business, and we think you’ll find Google Apps very handy, especially if you’ve already been using gMail, Calendar, or Drive on a personal account. In our view, the advantages of using a domain-based email address in conjunction with Google Apps is second to none. We invite you to share your experience, questions, concerns, or comments below!